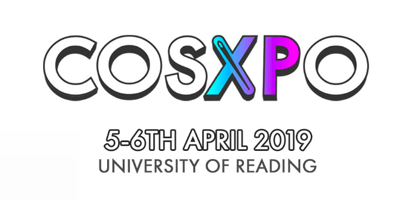 BillieBlouse came up with the idea of a Balamb Garden uniform group which was originally intended for KupoCon in Glasgow in 2019. She volunteered to take on the difficult bits: those shoulder squiggle designs and the patches for the sleeves. In return, I agreed to forge on ahead and test-run the sewing parts. I tried to document it clearly so the others could follow on and make their own matching uniforms. The fabric is a lovely herringbone suiting from fabworks.co.uk which BillieBlouse found. It’s just what we needed – it’s still navy, but very dark and approaching black. 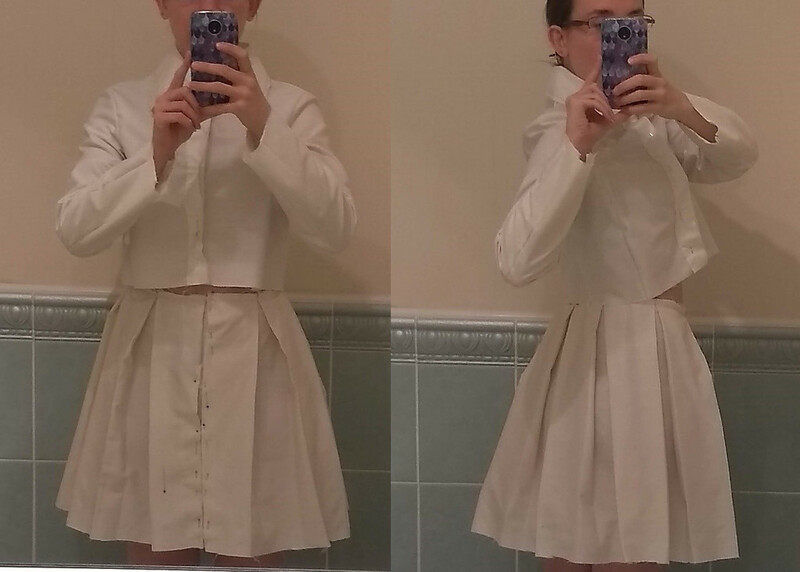 The skirt has 8 box pleats with the tops of the pleats sewn together and these seams tapering in to fit the waist. I sewed the hem and overlocked all edges before pleating, particularly since this fabric frays intensely. The waistband extends up quite high since I wanted to ensure that the short jacket would generally overlap it even as I moved around. The silver trim is imitation leather from Neotrims which was hard work, but worth the effort. I had to glue it in position first then very carefully topstitch. I tried a few glues and eventually chose EvoStik Serious Glue which seemed to work well and also not gum up my needle too much. I chose Lekala 5610 for the jacket since it had the zip front, correct collar and was about as accurate as we would get. What I didn’t notice was that it’s a maternity pattern. So the whole gimmick of Lekala that they’ll send you a pattern customised to fit you went out the window, but it became just like working with any other commercial pattern when you start off and know perfectly well that it’s not going to fit! Thankfully it needed to be cropped so much that eliminated a lot of fitting problems right away. 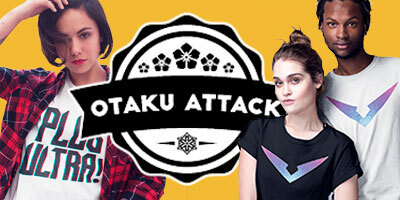 I made a mock-up, adjusted it then transferred my alterations back to the pattern. 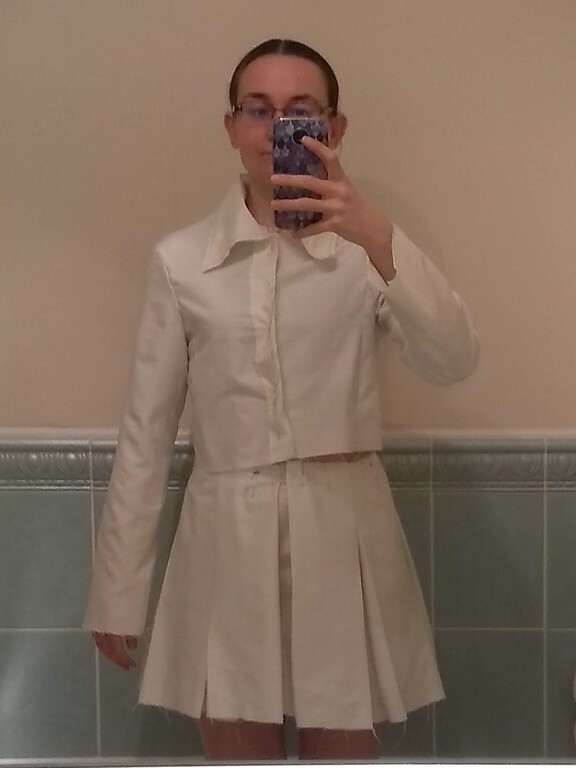 It didn’t require too much work – I just had to shorten it a lot and take in the seams (particularly at the front), but I also drafted the pattern for the lining (I used leftover silver satin from my Yvaine dress for my lining). Ideally I would have sewn the shoulder squiggles on before lining the jacket and applying the trim to the edges but BillieBlouse was working on them separately and I wanted to have my costume wearable for Kupocon and MinamiCon 25 (to fit with its school theme). 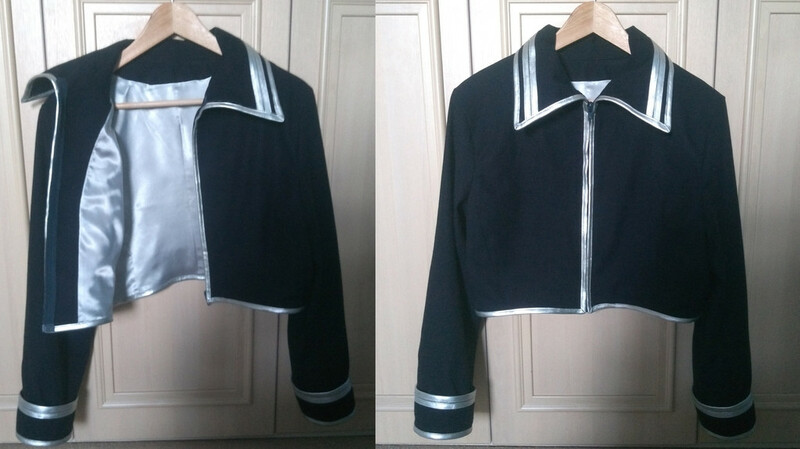 Plus I knew it’d take me ages to apply the silver trim and I wanted to prioritise that - I’d much prefer potentially having to rush closing up the lining at the last minute than having to rush the highly visible silver trim. The bow is yellow polycotton we’d bought in Goldhawk Road when we were in London for Nine Worlds last year. It has a brooch pin sewn to the back which allows it to attach to the zip pull on the jacket. The cuffs were easy to draft. 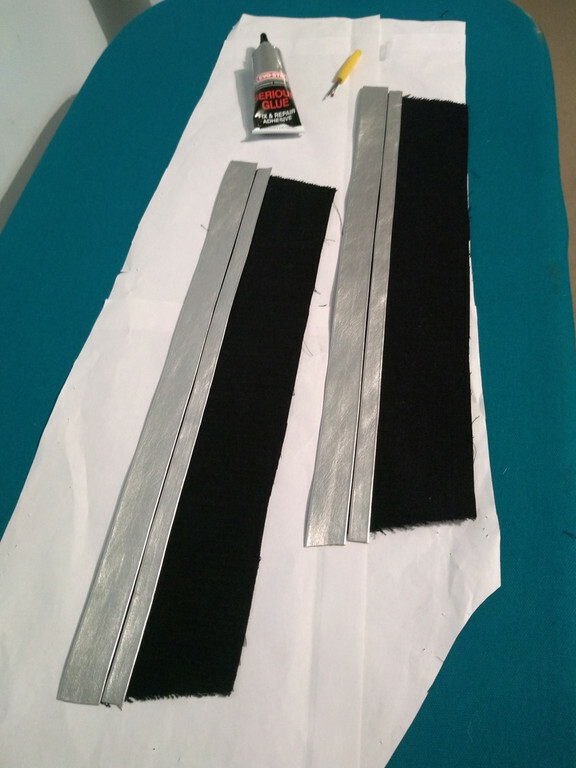 For the thin silver stripes on the cuffs and collar I glued them on together while the pieces were still flat and nudged them apart by running my seam ripper along between them before the glue set, so that created the little bit of navy fabric showing between them to separate the stripes. I couldn’t come up with a method to properly incorporate the zip into the lining so did it the easy way just like the skirt - I lined up the zip, basted it into position then stitched in the ditch next to the silver trim. If you squint, you can see my basting stitches down the left side of the zip while the right side is still only pinned. I chose Lekala 5610 for the jacket since it had the zip front, correct collar and was about as accurate as we would get. What I didn’t notice was that it’s a maternity pattern. So the whole gimmick of Lekala that they’ll send you a pattern customised to fit you went out the window, but it became just like working with any other commercial pattern when you start off and know perfectly well that it’s not going to fit you or be accurate for the costume without some work. Thankfully it needed to be cropped so much that eliminated a lot of fitting problems right away. I liked Lekala, it was very affordable, seemed to work well with my measurements (as much as I could tell from this project) and although sticking together the pattern is a bit tedious, I would certainly buy from them again. 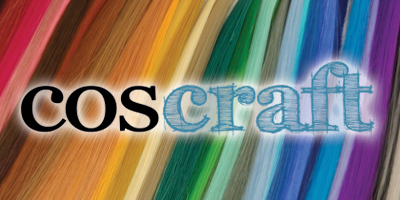 It was ideal for a group project too since all of us could just download our own copies of the same cheap pattern, rather than having to send a paper pattern from person to person or trace off copies for everyone. I made a mock-up, adjusted it then transferred my alterations back to the pattern. It didn’t require too much work – I just had to shorten it a lot and take in the seams (particularly at the front), but I also drafted the pattern for the lining (pictured). I used leftover silver satin from my Yvaine dress for the lining. 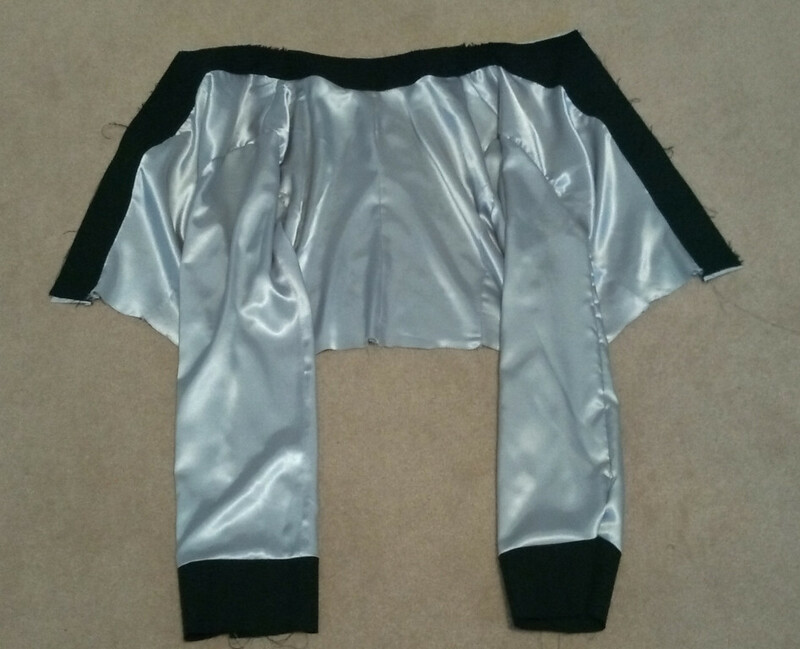 For the skirt zip, I first glued the silver trim in place right along either side of the centre front opening. Once it was all dried, I topstitched very carefully. I didn’t trust myself to try attaching the zip and topstitching the trim at the same time; I decided it was safer to focus just on the trim and get that right first. 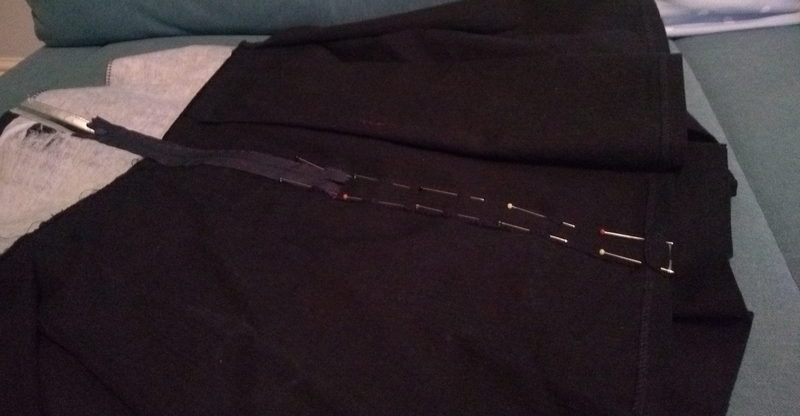 There was no need to have a zip running the entire way down so I bought a cheaper short zip and attached a placket of fabric to the end of the zip. This allows the binding to overlap it consistently and keeps the appearance identical to the jacket. 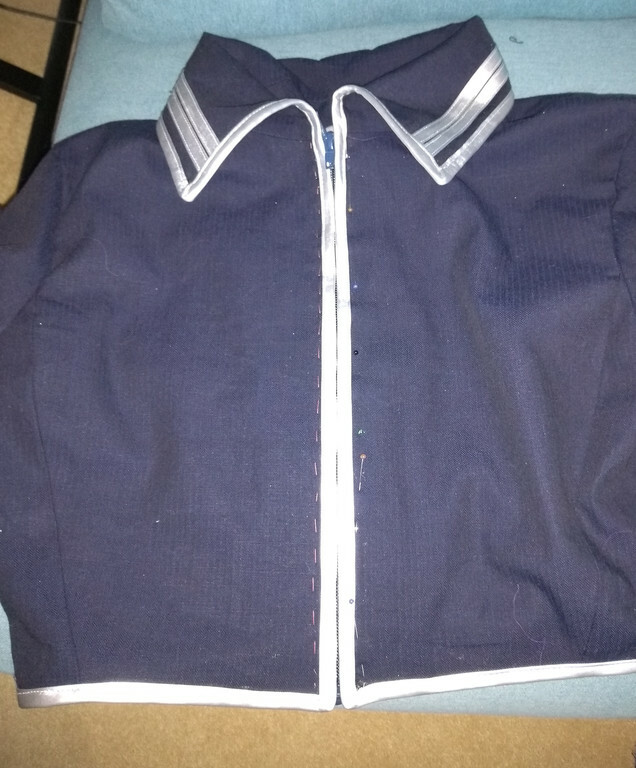 I carefully lined up my zip and placket, basted it in position, then stitched in the ditch with navy thread to properly secure it. And the final thing. The fabric is a lovely herringbone suiting from fabworks.co.uk which BillieBlouse found. It’s just what we needed – it’s still navy, but very dark and approaching black. I sewed the hem and overlocked all edges before pleating, particularly since this fabric frays intensely. The waistband extends up quite high since I wanted to ensure that the short jacket would generally overlap it even as I moved around. The silver trim is imitation leather from Neotrims which was hard work, but worth the effort. I had to glue it in position first (I tried a few glues and eventually chose EvoStik Serious Glue which seemed to work well and also not gum up my needle too much) and would leave it to cure with wonder clips holding it in place or under a heap of heavy books where possible. I took my time and did it all in stages i.e. glued down one half of the trim, left it to cure under a heap of heavy books; then folded over the trim and glued down the other half, then move on to the next section. For sewing I knew I had to be very precise since you only get one shot at sewing this trim, so there were a lot of tests done before I went on to the final thing! I liked using my zipper foot best but had to do some sections with a guide foot, this wasn’t ideal since I don’t have a teflon one but I used sellotape to get it to glide ok. I spent a lot of time testing out the tension etc., used a leather needle, a longer stitch length and even adjusted my needle position, particularly to ensure I was catching the binding that would be wrapped around edges. My solution was to use my full hip measurement which was much better. 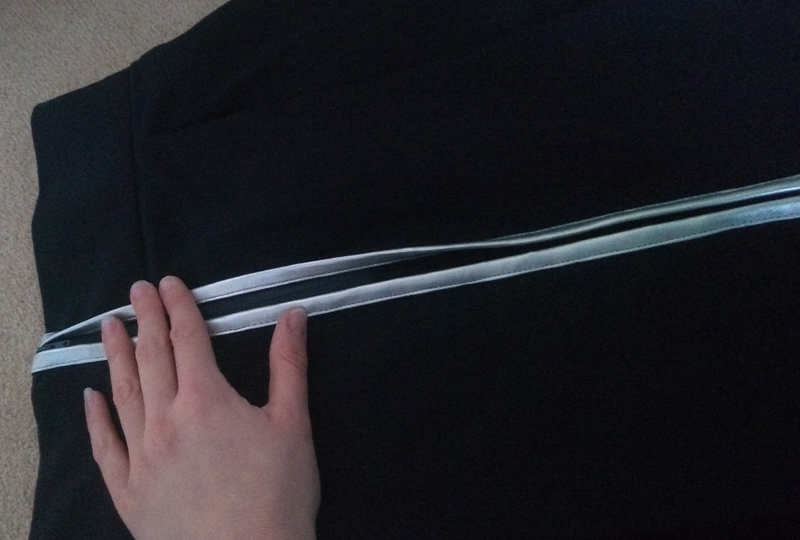 The top 10cm of the pleats are sewn together and these seams taper in to fit my waist. I tried drafting the skirt first since that didn’t require a pattern. 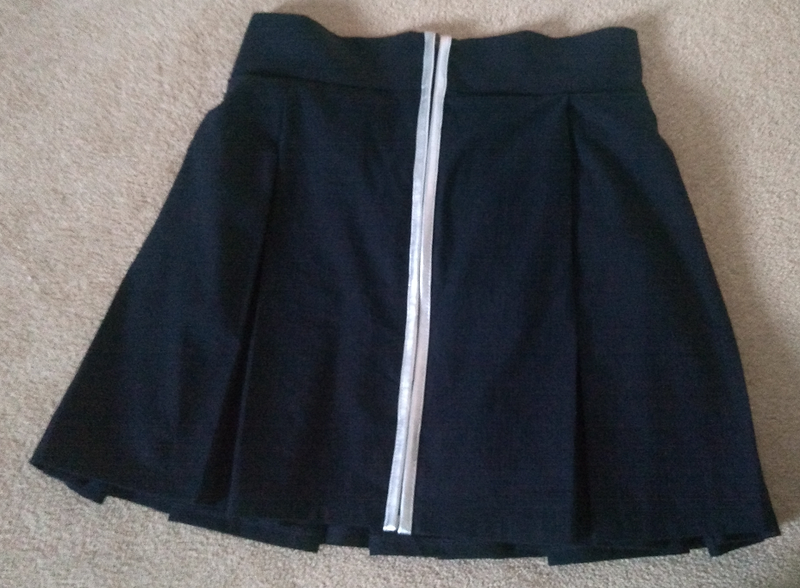 It should have been easy, but it’s a good thing I made a mock-up since the first skirt I made looked like this. It was a rectangle 3x my waist measurement with 8 box pleats. The obvious problem is the pleats open up too much. That’s simply because it didn’t occur to me that my hips are larger than my waist measurement so the skirt flares out and that’s not what this particular skirt is meant to look like.